Lidcott is a large working farm situated on Laneast moor near Launceston in Cornwall. 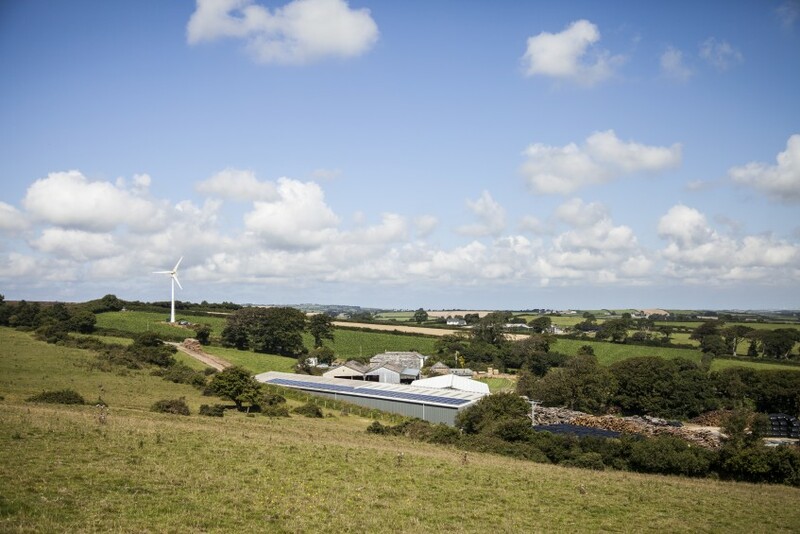 The farm already boasts a 250kwp wind turbine which is ideally suited due to the farms exposed position. The owners were also keen to add solar pv to the site to give themselves a more balanced renewable mix. Solgen Commercial were commissioned to install a 30kwp solar array on the roof of the large workshop and log processing store which also forms part of the farms business. This has reduced the farms carbon footprint and raised its green credentials. We were very impressed with the service Solgen gave us throughout, from initial feasibility through to commissioning. With our existing wind turbine we have now greatly reduced our carbon footprint while securing a steady income for the farms future.